Sandra's first book, THE DIARIES OF A CONSCIOUS PARENT, has been an inspiring journey for parents around the world. Her raw emotion and honesty are felt in every chapter. You can read a portion of her BOOK and purchase it HERE or DOWNLOAD her eBook for FREE. Sandra has been featured in several INTERVIEWS and PODCASTS. Your mindset from lack to abundance. deepen your connection with your children (and yourself). Becoming a More CONSCIOUS P.A.R.E.N.T." Sandra Fazio’s deep and insightful wisdom into the process of conscious parenting can help many families transform from pain to joy. She offers wonderful support to families desiring a more connected relationship with their children. There is nothing more gratifying as an author than to have your message help another on their parenting journey. Sandra Fazio’s diaries on conscious parenting are a deeply authentic and courageous tribute to the vision of conscious parenting. Here, she shares how these teachings have worked for her in real time in a raw and insightful way. Every mom will relate to her words and be inspired to integrate conscious parenting in their own lives. Thank you Sandra, The Conscious Parent, for helping spread conscious parenting in every home! Author of "The Conscious Parent" and "The Awakened Family"
I absolutely adore and greatly appreciate Sandra both on a professional and personal level! Sandra has helped both me and my family embody conscious parenting by suggesting real life practical approaches to connecting better with my children, setting boundaries and believing in myself. I appreciate how real she is and every conversation we have blossoms into exactly what I need at that moment. It’s also fun! Sandra is just outright fun to talk to I am so grateful for Sandra coming into my life and helping to guide me and my family through this journey – it’s changed our lives. Sandra has a keen awareness of the unconscious conditioning (the ‘stories’) that keep clients stuck in unproductive patterns. Sandra’s extensive training and no nonsense style — coupled with her warmth and intuition — are what make her a champion in the field of Life / Personal Coaching. She is an extraordinarily gifted human and gets straight to the heart of the matter. I have personally benefited and have been blessed to learn from working with Sandra, and I highly recommend her as a Life/Personal Coach. I have utilized Sandra’s coaching services at a couple of key junctures now in my 5-year parenting journey and I opted for her package offer each time. Without fail, I would leave each session with at least one profound insight (often more). Sandra is adept at both meeting you where you are but also gently cracking the door to untapped discoveries and unearthing subconscious dynamics. I found particular value in the fact that she has walked a similar journey and speaks with clarity, experience, and compassion. Her humble and genuinely caring approach makes for the perfect environment to untangle the morass of feelings and energy we have when we’re in the midst of challenging times. She has opened my eyes to seeing things differently and for that, and so much more, I am eternally grateful. For those of you who have the great fortune of keeping and raising your precious children, I recommend this wonderful book, “The Diaries of a Conscious Parent,” by my dear amazing friend Sandra Fazio. As difficult and challenging as it may be, parenting is a gift, and if you pay attention, you will realize it is an opportunity to wake us up to our own childhood baggage, giving us a unique opportunity to unpack–heal–be present–and evolve. Sandra’s style of writing is open, funny, and inspiring, leaving you feeling validated and supported! Parents need support and Sandra is there for us! So grab a copy today and join our conscious parent community! 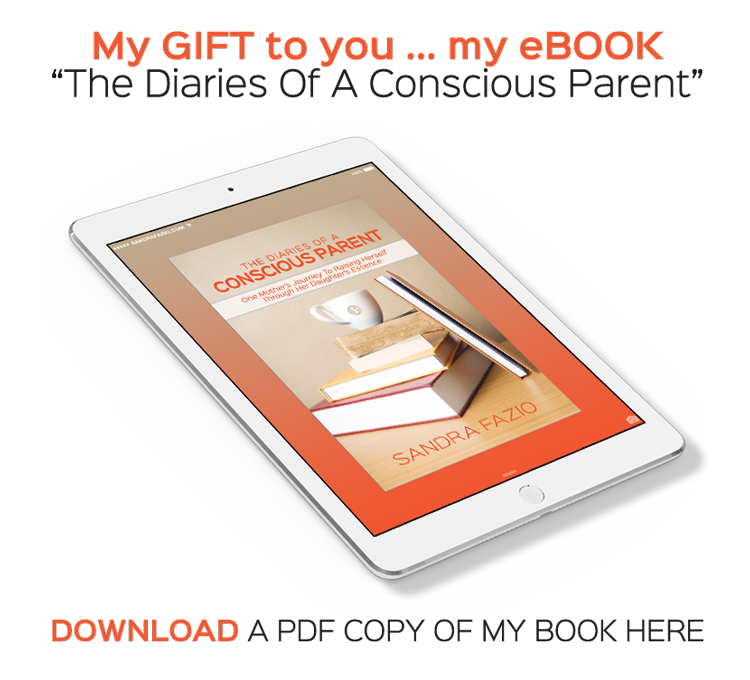 This conscious parenting read, by Sandra Fazio, is not to be missed!! Her journey is tear jerking and her self-realization is inspiring. If you’re challenged by your child, this wise guide will hand-hold you to rise above! My dear friend, Sandra Fazio has just released her book in paperback form! It is an excellent book that I highly recommend! Congratulations to my friend, Sandra Fazio, whose new book is out now! Parents check out this powerful memoir about conscious parenting! When you talk with Sandra for the first time, you feel like you are talking to someone who “gets it.” I refer friends and clients to Sandra when they are looking for parenting help because I know that Sandra will be able to empathize with their most challenging struggles. I also know that she will “join” her clients in uncovering the layers so that they can experience a real shift. When speaking with Sandra, you soon realize that no matter how far or hard you think you have fallen, or how complicated your life may seem, with an excellent coach, you can see noticeable “movement” and yes transformational change. As a relationship therapist, I know how important it is for clients to feel like they will not be judged if they “expose” their vulnerability or shame-based thoughts. I also know how essential it is to have a trusted professional who will know how to guide clients out of despair to their own empowerment. This is the breath of the work. Sandra’s avalanche of experience with parenting issues, her relatable style and unmatched raw authenticity make her one of the best parenting coaches out there! After studying and applying the conscious parenting teachings, I wanted to take my learning to a new and more personalized level. This is exactly what happened when I started to work with Sandra Fazio and her phenomenal coaching. I could tell right away that Sandra truly cared and respected my feelings and perspective. She is authentic and our conversations were always organic. I instantly connected with her and felt like I was talking with a girlfriend. We discussed whatever was going on in my life and on my mind, but intuitively Sandra listened in between the lines of what I said and suggested areas I could dig deeper and uncover new ways and perspectives to grow. It has been a life-changer in working one-on-one and applying all that I’m learning about consciousness. Thank you for your love and support!! It has made a huge difference in my life, my family and my conscious journey. Working with Sandra has unlocked parts of my true self that has been overlaid with so many limiting belief systems that have kept me stuck in my life. Sandra is a master at cutting through the situation that you think is causing you conflict and strife and getting deep within to the core operating themes that unconsciously have been in the driver’s seat of your life. Not only has she helped me deconstruct situations, more importantly, Sandra has taught me the skills to do this for myself. Sandra has a gift. Within moments of speaking with her, you are put at ease. Regardless of the things you may be feeling and come to admit aloud in conversation, Sandra is never judgmental and demonstrates genuine kindness, compassion, and concern. With her guidance and ability to mirror your reflection, your wounds heal, relationships deepen and introspection soars. The journey towards becoming a Conscious Parent might seem intuitive or even natural (it is once you awaken to it) but the truth is, it is an intricate one. 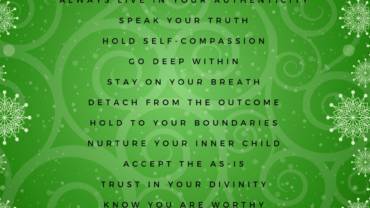 I found myself in Sandra’s world through Dr. Shefali’s course, The Year of The Awakened Heart. Through Sandra’s coaching, I was able to navigate through a challenging phase as she helped me pinpoint specific aspects within myself that helped me recognize then redirect my actions towards more conscious solutions that benefited my family. With Sandra’s guidance, I liberated myself by relinquishing control and freeing myself from its limitations when it comes to parenting my children. Her commitment to Conscious Parenting is inspirational as she shares her wisdom and life experiences throughout the course with us. My family has grown immensely since I started this journey and the truth is, I have grown and that’s where the real change begins, thanks to Sandra and the Conscious Parent movement. Every child deserves a conscious, awakened parent. The results are immeasurable. The Diaries of a Conscious Parent is a beautifully raw poetic, vulnerable, inspiring and authentic testimony to one mother’s journey through conscious parenting. I feel blessed to know Sandra and be touched by her words and wisdom. What can I say which justifies my immense gratitude for Sandra’s words and wisdom that she has shared with me. For the light she has shown and for the path upon which she has lead me to – a surely challenging path – of deconstructing the past and everything around self, emotions and inner child. Sandra is such a gem. She is constantly showering me with Love and Light when I need it the most. Her grasp on Conscious Parenting is nothing short of magical. Sandra and I met virtually first, via email when I was registering for Dr. Shefali’s Evolve conference last year. Since our first connection, Sandra has been my “Conscious Parenting Angel” and Guiding Light. As a single Mom trying to consciously parent through ups and downs, twists and turns, Sandra is my go to whenever I get stuck or baffled. Her warmth is so comforting. Even over the phone, miles and miles away, it feels like she just holds my hand and ever so gently guides me back on the path that is best for my children and for me. I’m so moved by Sandra’s passion and so proud to know her. As a Coach, there’s a certain indescribable “it” factor that is required and Sandra Fazio certainly has IT! Sandra Fazio’s willingness to share her vulnerabilities in such and honest and heartfelt manner has been so helpful to me as a parent to not feel isolated in navigating my own unconscious stumbling blocks. Reading her challenges and lessons learned – during these early years as a parent – opens the door to authenticity and connection with Sandra. Her passion, commitment and leadership in the Conscious Parenting movement is remarkable and inspiring. I enthusiastically recommend Sandra’s book to anyone wanting to learn more about Conscious Parenting and to have an approachable, relatable guide, whether it be this book or Sandra herself at your fingertips. The Diaries of a Conscious Parent has completely transformed my relationship with my daughters in the most astounding, harmonious and innovative way imaginable. Since reading Sandra’s book, the connection between my heart and theirs cannot be explained in words rather deeply felt and witnessed through the blossoming of their pure essence. This radical, mindful way of parenting ourselves through our children is a remarkable gift and I consider myself blessed to have received such a blessing. Reading through the pages of Sandra’s book, I felt as though she was sitting in my living room, visiting over tea, and holding my hand as I embark on this life-altering journey. Her authenticity and passion for conscious parenting is evident through her eloquent writing, which deeply resonates in my core. This book is full of inspiration, rawness, vulnerability, and deep personal insight as Sandra gently guides the reader along a revolutionary journey in parenting. Sandra’s book resonated with me as I read each entry and a lot of the times it felt like she was talking about me – this was so great, because it made me feel like I was not alone, which was a great reminder that were are all connected and one. It was also a great reminder that growth and progress take time and practice to build a new muscle. It was inspiring and uplifting to go on parts of Sandra’s journey with her. Thank you. Sandra is the epitome of consciousness. Her book captures the essence of letting go of the control we think we have as parents. Understanding the beauty that IS our child and not what our child will be. This is a thoughtful and eloquent look into the dissection of control and the beauty of a parenting journey whilst encouraging me to learn and grow from my daily parenting failures … becoming more conscious with every deep breath. I loved this book! I read it in a few short days and reveled in Sandra’s honest account of what it means to be a conscious parent. Sandra’s authentic and vulnerable shares allowed me to recall my life as a parent with compassion. I felt comforted, inspired and energized by her words and appreciated pondering her questions at the end of each chapter . Thank you, Sandra, for offering such passionate insight to parents! Sandra’s book “The Diaries of a Conscious Parent” is an open and honest diary not only delves into what it means to live the daily conscious parent life, but also how to continue one’s daily work and growth. I loved reading this book. Sandra Fazio’s practice inspires readers to stay focused and dedicated to creating deep connections with their children. I especially enjoyed this book as it is relatable and easy to understand. She provides real life examples of her growth with conscious parenting and her family. GREAT READ! As a longtime friend of Sandra’s, it has been a pleasure to journey through the early years of parenthood together and watch Sandra’s innate talents bloom. She has always been pure of heart, uplifting, compassionate and driven. Since becoming a mother, she has taken these qualities, amplified them, and found her true self and calling in the process. Teaching and helping others through the conscious parent movement is what she was meant to do. Sandra is a wonderful resource to help you through any parenting dilemma in an honest, nurturing and supportive way. Sandra speaks from deep within her heart. She takes you down a life-changing path to finding true happiness within yourself and with your children through her own personal journey and teachings of conscious parenting. I have known Sandra Fazio my whole life, so I can say without hesitation that she is authentic in her passion to help people any way she can. Sandra has embraced motherhood wholeheartedly, and has been given the gift of learning to know and grow oneself deeply through the birth of her daughter. She has helped me to re-think and to pause in situations that can be challenging raising two boys in their pre-teen and teenage years. I am so blessed to have her in my life, as I believe she shares and teaches the gift of parenting in a different light that will only connect us to be more conscious with our children … because in the end all parents want and hope for is the same thing, to have a meaningful relationship with our kids. I want to tell you that I absolutely loved your book and the candid, non-censored, raw accounts of your life with your daughter. Your words are powerful and insightful and your compassion and humility come through in every page. I think your book would be invaluable to anyone looking to strengthen their relationships with both their inner selves and with their children. I thought your writing was engaging and very relatable. Thank you very much for the opportunity to learn from you and for sharing your wisdom in such an articulate way. You should be so proud of yourself! Sandra Fazio’s work for The Conscious Parent movement has made an impact on my life personally as a parent. Sandra’s blogs are insightful, encouraging, and help me to take pause and consider that each day with my children is another opportunity to demonstrate full engagement and acceptance of their growth as well as my own as I lead them by my daily interactions. Although I consider myself to be seasoned parent, I am refreshed and impassioned to read Sandra’s blogs and be reminded that there are many parents, at all stages of parenting, whom yearn to love more, understand more, be in the moment more, and grow more as we journey together through one of the most beautiful and scary trips in life, parenthood. I am thankful Sandra Fazio has taken her life’s work of parenting and invested that same passion and devotion into her Personal Blog at the Conscious Parent to us, her followers, her readers, her fellow parents journeying down the path together. Thank you, Sandra. Sandra Fazio’s diary ebook was very enjoyable and something I appreciate as a mother but also as a woman in the world. She provides some beautiful tools to use in real life (“I’m Patient” is one of my favorites) but also parent coaching questions to help me dive deep and look within at what my own needs are, why I’m behaving a certain way, and then how I can use this self-examination to transform my parenting with my daughter and just choose love. Sandra’s book serves me as an eye-opener, a mirror reflection, a friend, and a tool. Thank you, thank you, thank YOU! Sandra is a heart-centered and knowledgeable professional who is committed to helping parents live consciously through her blog and her personal coaching services. If you are interested in the work of Dr. Shefali Tsabary, author of The Conscious Parent, and need some additional support, Sandra is a great resource and will be able to help you navigate the world of Conscious Parenting. She is easy to talk to and has quickly become a great friend. Although my personal journey is different than Sandra’s, I had no trouble relating to her progression towards consciousness which takes place in well thought out, poignant journal entries. It’s an easy read, jam packed with valuable insight about becoming a more awake, present parent. I would highly recommend the book and Sandra’s parent coaching services as well! I have had the honor to edit Sandra’s work. What started out as a technical and professional responsibility, on my end, transformed into a personal learning journey and connection. Sandra’s command of voice exalts honesty, wisdom, and guidance that is rare in a world of concentrated voices on the matter of conscious parenting and personal development. Simply put, it has been a privilege to partner with Sandra in her project. I can only think that if every parent and non-parent embodied conscious practices that Sandra and Dr. Shefali Tsabary bring to light, our children would change, individuals would change, relationships would change and, thus, we’d have a transformative, progressive, and harmonious way of looking at ourselves and others. The Diaries of a Conscious Parent is a nice easy read packed with powerful insights. It’s a great testament to the value of inner work and how it reflects in the outer world with the people closest to us. The influence we have on young minds and that they have on us is tremendous. This writing outlines the importance of being responsible for our impact in the world and our influence on others. We are teaching our children to do the same thing. This is achieved by being good to yourself and not giving yourself away. Consciousness is so important in the world of today. It’s what we impart on our future generations. Brilliant and useful information! Great job Sandra Fazio! The word conscious is the perfect way to describe Sandra, as a colleague, friend and parent. Her writing is authentic, insightful and delightful … as is she! Enjoy every page, I know you will! Throughout the book, Sandra comes across as authentic and passionate about her own journey as a conscious being, acknowledging all aspects, challenging and joyous, of her journey with herself and her family. Sandra demonstrates that being a conscious parent isn’t just about the relationship we have with our child(ren), but also with ourselves, friends, family and others we come into contact with. I found the book engaging as it is about real life; messy, exhilarating, wonderful, challenging. It really helped me to frame my own experiences and thoughts and see where I can improve my own consciousness. Thank you so much for sharing your story. Thank you for your honesty and keeping it real. This book is AMAZING! It was filled with stories of my life and examples of how to handle them. Sandra opened up her life stories to show us all we are not alone. It showed me that I need to stop pretending and actually take the steps to be a more conscious person. 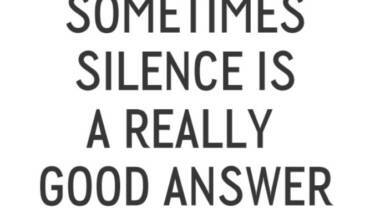 It gave me guidance to gain my patience back. It took my fears away and gave me the confidence that I need to be the woman, daughter, wife, sister, and mother I want and need to be for my family. Thank you for letting me read your book it was a great experience for me. Sandra has such a deep understanding and inner peace about becoming a Conscious Parent and is able to help other parents to seek the same feelings of connection with their children which has a ripple effect to hundreds of children in the process. Sandra is a kind, spirited and authentic individual who is passionate about helping others. She has a naturally calming and nurturing presence which contributes to her ability to put people at ease. She confidently shares her life experiences in a very insightful and engaging way to teach and inspire others. She goes out of her way to lift others and bring out their best – it is truly a pleasure to know Sandra! … I was always impressed with and motivated by her unwavering determination, dedication and work ethic. Sandra approaches all of her professional and life roles with an admirable level of organization, integrity and passion. Sandra’s latest endeavor of the Conscious Parent Blog – is no exception, as she genuinely desires to share this purposeful information through her heartfelt words. As a parent who has raised children in my 20s, 30s, 40s and still going, I have been on the constant quest to find a better way to have a relationship with my children. With the opportunity to “do things different” this time around, I have been discovering new ways to communicate with myself, my partner and my child. Sandra Fazio’s personal story was such a great read of how she has incorporated these practices into her own personal life. I appreciated how she was able to communicate to us, the reader, how to use these skills and examples of what was working and not working. Thank you for the opportunity to read this fabulous e-book! Sandra is an inspirational, loving and compassionate guide with a passion to “hold your hand” as you enter the world of Conscious Parenting via the work of Dr. Shefali Tsabary and her life changing book, The Conscious Parent. She is practicing Conscious Parenting at home with her own family and will help you understand how to transform your family as well. She is an amazing communicator who can hear what you need most and help you understand how to implement the changes you need to bring peace and joy to your family. I have had the pleasure of hugging Sandra in person and you can trust her to help support you when you need it most. When I first watched Dr Shefali’s TEDx San Fran talk I was moved to tears to find that all the mixed up thoughts and feelings I was experiencing had a voice. A beautiful, passionate, and eloquent voice. It was with great joy that I found The Conscious Parent Blog. It held and supported me in my journey of connection with myself and with my children from a place of true authentic spirit. Our family is much more harmonious now and I have so much gratitude, thank you. In return for this FREE DOWNLOAD, Sandra Fazio will use the information you provide on this form to be in touch with you and to provide updates. You can opt-out at any time.